We’ve had some weak decades of supporting performances, but that is definitely not the case here. The top eight performances are remarkably strong in their own ways, which made this a hard decade to judge ultimately. Still, judging is what we do, so it had to be done. Once again, I’ll comment on snubs or performances that should have won when appropriate, but whether or not someone deserved to win can’t harm an actor’s place in the ranking. Don Ameche was a great comedic actor, so he plays the part of a retired man re-discovering his youth with enthusiasm and comic verve, but there really isn’t much heft to his performance at all. His part doesn’t even have the touching moments we get from Wilford Brimley talking about life and death with his grandson. Ameche was a character actor for many years, so his Academy Award for this feel-good movie about aliens offering denizens of a retirement home the chance to live forever feels like a way of saying thanks for the service more than anything else. He’s adorable, but that’s about it. Should have won in 1985: Denholm Elliott was a much better eccentric old man in A Room With a View, providing an essential link between the film’s romantic leads. I know a lot of people cite Gielgud’s performance as Hobson, the butler to Dudley Moore’s titular bad boy, as the epitome of dry British humor. The truth is that there isn’t much more to the character than that. The only thing that saves him from the last spot is the tender sweetness Gielgud brought to his scenes where Hobson sets Arthur on the correct course in his life. While on his deathbed, no less. There’s a fatherly care that raises the character above being a mere butler, but it comes fairly little and fairly late in the game. His primary purpose is still to provide a sort of acid wit and a very proper foil to Arthur. He does it well, but at the end of the day here we are. Should have won in 1981: Without much competition, Gielgud deserved the win. Connery is great as the spry and brutal Jim Malone, who signs on with Kevin Costner’s Elliot Ness to take down the seemingly untouchable (natch) gangster Al Capone. Connery has a twinkle in his eye as Malone tutors Ness in the ways of the underworld, creating the template for the ruthlessness necessary to take the country’s biggest mobster down. You believe that Connery is the tough guy whose street smarts drive the whole operation, but Connery is coasting on his own innate charisma in many moments. And while the movie suffers once Malone has been killed off, there’s no big moment to the role, either. It seems that this award was mostly a sort of lifetime achievement award to the legendary James Bond actor. Should have won in 1987: I have a soft spot for Vincent Gardenia’s philandering father in Moonstruck. Much of this movie rests on the shoulders of a man with no acting experience. Haing S. Ngor was a Cambodian refugee living in California when he was cast as Dith Pran, the real Cambodian man who helped a New York Times reporter discover the truth about Pol Pot. Pran miraculously survived the horrors of Pot’s regime, ultimately making his way to a refugee camp. The second half of the movie is largely Pran’s story. Casting a man who was not an actor to portray the horrors he was subjected to seems like madness, except that for Ngor it wasn’t really acting. He had survived it all. His ability to portray Pran, and so successfully, is an honor both to Pran, to himself, and to all of his countrymen and women. Should have won in 1984: Ngor is definitely stunt casting, but it works. When he cries, you feel it. You may remember that I love Ordinary People from my ranking of the Best Picture winners from the 80s. My only problem with Hutton being on this list is that he’s not a supporting actor. Conrad is the leading male role in the movie–his journey forms the entire spine of the plot. Conrad is the unlikely survivor of an accident that claimed the life of his picture-perfect older brother. Now Conrad is left with survivor’s guilt and the knowledge that his grieving mother wishes it had been him instead. His relationships with his parents and his therapist (played to perfection by Mary Tyler Moore, Donald Sutherland, and Judd Hirsch) are deeply felt and grow as time passes. Hutton imbues Conrad with all the necessary fragility and, ultimately, resolve to carry the movie. And he breaks your heart, which is no small feat. You just want to give Conrad a hug. Should have won in 1980: If you move Hutton to the Best Actor category, Joe Pesci could move in for Raging Bull. Louis Gossett. Jr. took the role of an unforgiving drill sergeant who makes his recruits lives a living hell and made it an Academy Award-winning role. His profane insults are among cinema’s best, and most certainly paved the way for R. Lee Ermey, cinema’s other insanely abusive, iconic drill sergeant from 1987’s Full Metal Jacket. We don’t know much about Gossett’s Sgt. Foley and he never changes as the movie progresses, but there’s no denying that this is a powerful performance. That’s the sort of thing that just can’t be denied, eh Mayo-nnaise? Should have won in 1982: Gossett’s magnetism trumps John Lithgow in The World According to Garp. I don’t necessarily believe Jack Nicholson as an astronaut, but his vagabond retired spaceman who woos Shirley MacLaine’s high-maintenance mother is an unexpected delight. The chemistry between Nicholson and MacLaine is sublime, giving essential groundwork for the sad family drama playing out at the movie’s forefront. Nicholson has a way of playing himself and his effortless charisma lets him get away with it. His best roles do something to either subvert or distort his Nicholson-ness. He isn’t exactly doing either here but the result is so good that it doesn’t really matter. Should have won in 1983: Nicholson earned the win. There have been a lot of dim-bulb funny men in movies, but they are rarely executed as well as Kevin Kline’s Otto, a low-level thug with delusions of grandeur. He speaks nonsensical Italian to get Jamie Lee Curtis in the mood for love (“Benito Mussolini!”), is in serious need of anger management classes, and he absolutely hates being called stupid. Kline can do drama very well, but he really comes to life with comedy. In a wild caper that frequently dips into the bizarre, Kline ran away with the show. Think about that for a second: this movie stars several alums of Monty Python. Comedic capers with dips into the bizarre are what made them famous, yet Kevin Kline stole the entire movie. That takes immense skill. Should have won in 1988: Kline ran away with the competition. These days, it comes as no surprise to see Denzel Washington full of angry bravado. It’s his specialty. Here, Washington plays Trip, an angry former slave who signs on with the 54th–the Union army’s only all-black unit of soldiers–to fight in the Civil War. Trip burns with rage and resentment. He’s in your face and unforgiving, but it’s all a big show to mask the deep hurts he carries inside (not to mention the hurts he carries in the scars on his back). You can sum his performance up with the powerful moment Trip defiantly refuses to break eye contact with his superior officer while getting flogged, releasing just one single tear. It’s a shocking, unforgettable moment. Should have won in 1989: Washington owned this year. I’m iffy on Woody Allen films, so when I saw Hannah and Her Sisters I never expected to be blown away. But I was. By the performances, I mean–the movie is only so-so. 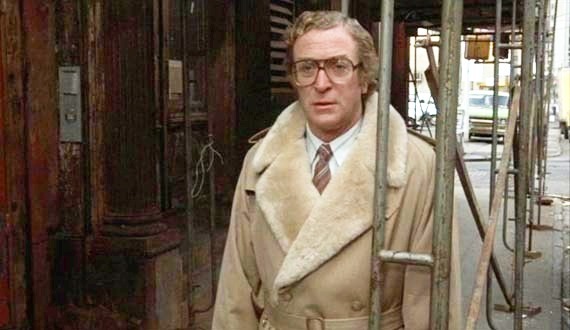 As the husband of the titular Hannah, Michael Caine goes on an astonishing journey. He becomes totally, helplessly infatuated with Hannah’s sister Lee and desperately chases after her. Nervously. Awkwardly. Guiltily. Aggressively. Somehow charmingly. They begin an affair. Inevitably perhaps, things begin to fall apart. Caine somehow manages to make this full arc look easy. He makes the situation, and by association the entire plot, believable. It’s astonishing how good he is in this movie. Should have won in 1986: Caine absolutely deserved his first win. For more, please check out my Academy Awards page. Up next: Best Actress of the 80s. I understand the confusion–the timing of the Oscars makes it odd. I base the years for these races based on the year in which the movie was released, not the year of the award ceremony. For example, the most recent Oscar ceremony was held in February of 2019 but the films were all released in 2018. So yes, Denholm Elliott was nominated in 1986, but for a film that was released in 1985. I hope that helps.